Jacinta Nampijinpa Price is a fierce and brave campaigner for the rights of Indigenous Women and Children. She is also fighting for a unified Australia, recognizing everyone who loves this great country regardless of heritage, ethnic background or gender. She has worked as a cross-cultural educator for 20 years and has served two terms as an elected member on Alice Springs Town Council. Jacinta is the Country Liberal Candidate for the seat of Lingiari in the next federal election. Lingiari is the second largest electorate in the country at 1.3 million square kilometres. It has a population of just over 114,500. It includes more than 1020 remote Aboriginal communities and outstations, more than 100 Aboriginal languages and dialects, over 200 pastoral leases, hundreds of mining projects and nine working mines, 23 national parks and 70 other reserves, the towns and regional centres of Alice Springs, Katherine, Tennant Creek, Nhulunbuy, Jabiru, Borroloola, Adelaide River, Elliott, Ti Tree, Timber Creek, Pine Creek, Mataranka and Yulara and a dozen other hamlets. It also takes in the Christmas and Cocos Islands thousands of kilometres away in the Indian Ocean. Communities are 100’s of kilometres apart and most roads are unsealed. To meet, and listen to the people, Jacinta has to cover vast distances. The most efficient, and most expensive, way of getting around is by air.Why is she standing? 47% of the population of Lingiari is Indigenous, they own 45% of the land and 80% of the coastline. Jacinta herself is a traditional owner under the Land Rights Act, yet many of her people are amongst Australia’s poorest and most marginalised. They suffer the highest rates of otitis media - leading to life long hearing impairment, - trachoma - leading to blindness,- renal disease, stage two diabetes and rheumatic heart fever, all leading to early death. Family violence and alcohol abuse have also deeply affected her people, including her own family. They also have the highest levels of unemployment and lowest levels of educational achievement in the country. All of this Jacinta has witnessed first hand. The current member has represented Lingiari for more than 30 years. In that time almost everything has got worse. The electorate has thriving cattle, tourism and mining industries. Indigenous issues are everyone’s business in Lingiari, we all live together side by side. We all pay the costs. Jacinta sees no reason why Aboriginal Land rights and industry can’t work together to improve everybody’s lives. Many good people of different backgrounds work tirelessly to tackle the very tough problems in the electorate. Billions of taxpayer dollars have been spent trying to solve these problems to little effect. We need a reassessment of everything that has been tried. We need a unified approach. This Go Fund Me campaign is about helping Jacinta get elected to the national parliament to fight for the changes that are needed. The costs involved are huge so Jacinta needs as much help as she can get. Labor has put business in the NT up against the wall. Everybody is hurting. Labor are well funded by the non-tax paying Unions. Jacinta has to seek the support of the people of Australia. Many of you have asked how you can help her do what needs to be done. 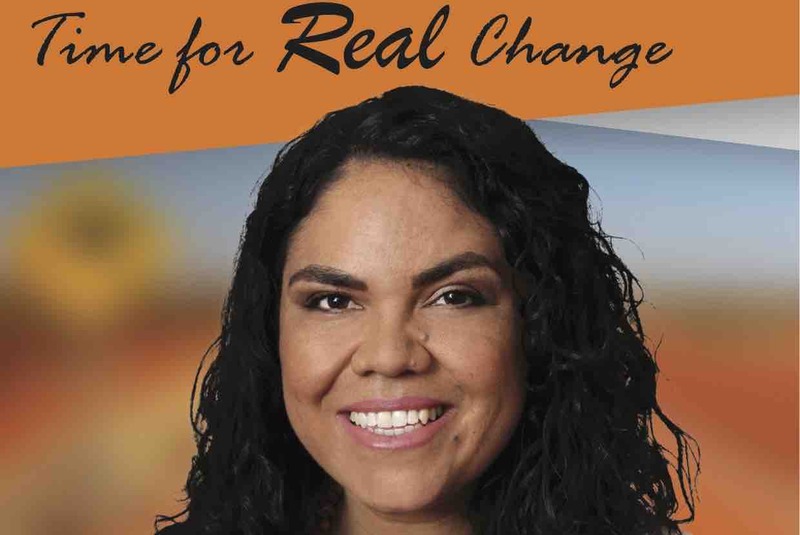 You can help her get her voice into our federal parliament to represent all the people of Lingiari, including the most marginalised, as one community. Jacinta Nampijinpa Price is a proud Australian and a woman of Warlpiri/Celtic heritage. She stands for common sense and true equality for all. Join her campaign and be part of bringing about the REAL CHANGE for Lingiari that we want to see as good hearted and generous Australians! I Katherine Clothier started this GoFundMe campaign to help support my friend, who is a Candidate for the Country Liberals Party. All donations to this GoFundMe account will be collected by me and given as a single donation to the Country Liberals Party, specifically to support the campaign efforts of my friend Jacinta Price.